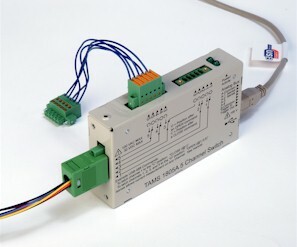 The TAMS 1805A uses Phoenix Contact 150 mil (3.81mm) "Mini Combicon" connectors. 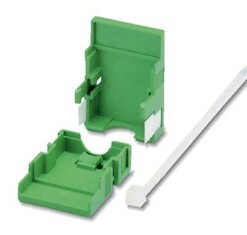 We stock only the 1827732 strait connectors and include three with each 1805A. This page is provided as reference in finding alternate connectors to fit the 1805A..
Strait. Three included with each 1805A. Right angle, wires exit toward the TAMS logo. Plug component, nominal current: 8 A, rated voltage: 160 V, pitch: 3.81 mm, no. of positions: 5, type of connection: Screw connection. Right angle, wires exit away from the TAMS logo.